Baaba Cofie is a founding partner and Senior PR Consultant of Mahogany Consult, a Public Relations Consultancy in Ghana. 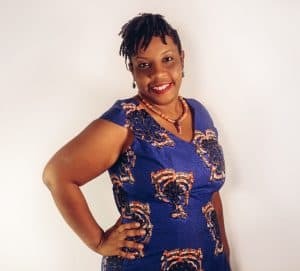 She has over nine years experience in corporate communications for both local and international clients, with expertise in communications research, content creation and management, development and health communications consulting and event management. She has worked on brands such as Siemens, SWIFT, FBNBank Ghana, New Chrystal Hospital, Proctor and Gamble, Comic Relief, Operation Smile, Project Fives Alive! (National Catholic Health Secretariat), the Ghana 2010 World Cup Planning Committee and more. Baaba is also a public relations lecturer with the School of Communication Studies, Wisconsin International University College, in Accra, Ghana. She is a professional theatre director and writes as a freelance journalist. She holds a Master of Philosophy Degree (MPhil) in Communication Studies (Public Relations and Print Journalism) from the University of Ghana, Legon and a Bachelor of Fine Arts Degree in Theatre Arts (specializing in Theatre Directing and Music). 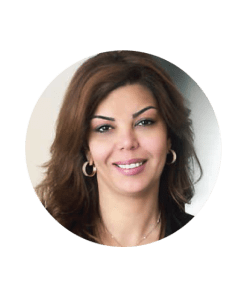 Rania Azab is Group CEO of the 4PR Group in Cairo, Egypt. Rania has more than 20 years of experience in the communications industry in both private and public sectors. She uses her strong understanding of the region’s markets and international trends to offer clients world-class services that not only meets their needs but anticipates them. Prior to founding 4PR, Rania engineered the public re-launch of the Egyptian stock exchange as well as establishing its PR and communications department, a first in the Egyptian public sector. She started her career in 1992 with advertising, moving from being an account executive at Tarek Nour Communications to an account director at the D’Arcy international advertising network, working on both local and international accounts including Procter & Gamble, Emirates Airlines TWA, Colgate, Palmolive, Mars products and more. Rania’s specialties include strategic consultancy, corporate reputation management, brand PR, crisis and issue management as well as integrated communications tools.